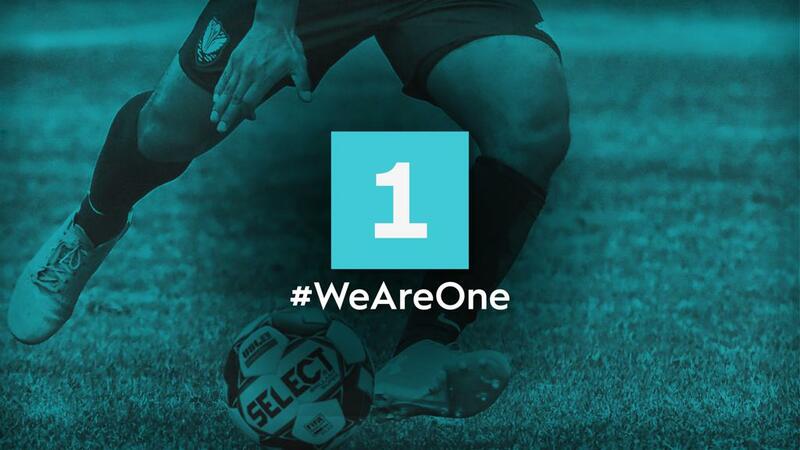 TAMPA, Fla. – USL League One announced Monday the unveiling of its “We Are One” campaign, set to run throughout the league’s inaugural 2019 season. As the newest professional soccer league in North America, “We Are One” will help fans better identify and engage with league content initiatives throughout its first season. The campaign will also feature unique, community-focused storytelling, an increased in-stadium presence, and a strong visual identity. One exciting facet of “We Are One” is the creation of a short documentary series set to uncover the deep-lying stories around the league. The five-part series will pay especially close attention to local supporter cultures, as well as other ways the clubs are binding themselves to the places they represent. In addition to the video and storytelling elements, “We Are One” will also bring with it a focus on live, real-time matchday experiences from inside League One stadiums in the form of a Real-Time Correspondent program -- as well as a written series on our clubs’ community relations initiatives throughout the country. The 2019 USL League One season will kick off on Friday, March 29 as South Georgia Tormenta FC plays host to Greenville Triumph FC in the league’s inaugural game, with an additional three games set for the opening Saturday night of the season. Every game of the 2019 USL League One season will be streamed live on ESPN+, the leading direct-to-consumer sports streaming service. USL League One is shaping the future of the game in the United States, uniting passionate fans in new markets with the thrill of a proven professional soccer experience. League One was granted provisional Division III sanctioning by the U.S. Soccer Federation for 2019. South Georgia Tormenta FC, FC Tucson, Greenville Triumph SC, Forward Madison FC, Chattanooga Red Wolves SC, Toronto FC II, Orlando City B, Lansing Ignite FC, North Texas SC and the Richmond Kickers have been revealed as teams set to compete in the inaugural 2019 season.